The 3D program at UA-Pulaski Technical College gives students with special needs the opportunity to learn culinary skills at a college level and land a job at a restaurant. 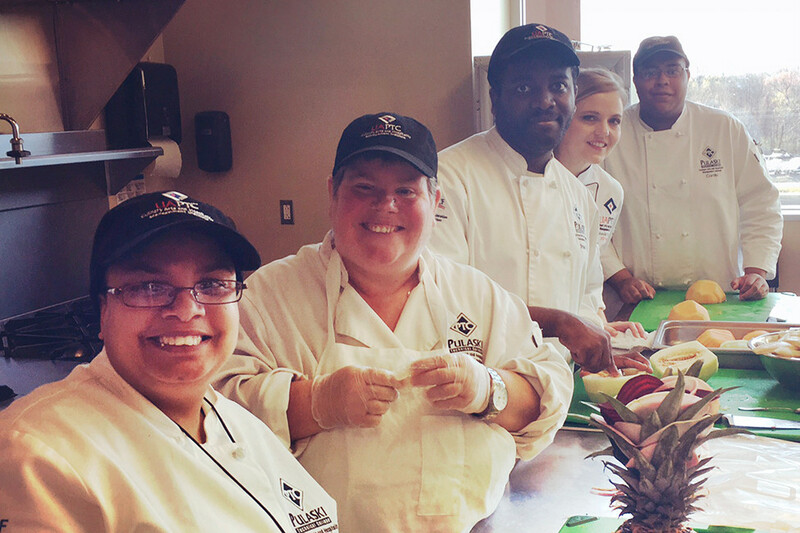 Students in the 3D program have special needs and are working towards careers in mainstream businesses and restaurants by learning sanitation and hospitality fundamentals. There’s something decidedly other-worldly about the University of Arkansas-Pulaski Tech Culinary Arts & Hospitality Management Institute, a sleek glass-and steel spaceship of a building alongside Interstate 30 approaching Bryant. The aroma of roasted garlic wafts into the parking lot while inside, students and faculty adorned in the traditional white double-breasted chef’s jacket and black slacks scurry through the yawning main hallway. Some bake, some butcher, some tend the ovens, but all focus intently on their work in gleaming steel kitchen-classrooms. Cortlin (whose professors asked not to use his last name) is one of them and the 20-year-old from Little Rock looks every inch a chef. 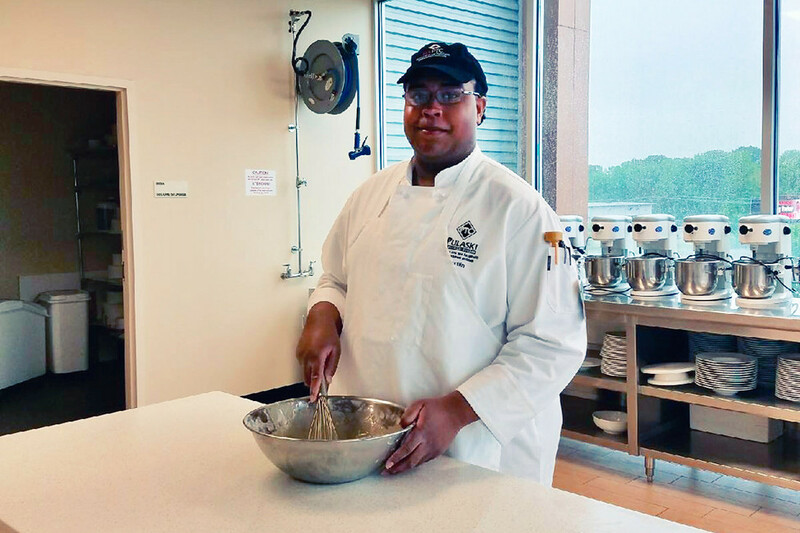 The McClelland High graduate was is in his second semester in the 3D program in the spring, a program he got into after honing his love of cooking in his mother’s kitchen. Cortlin is working towards entering the restaurant business someday and also has interest in becoming a cake decorator. Even with that orientation, the 3D Program at Pulaski Tech was a big step up. Cortlin said he’d adjusted to the workload, although a section on stocks, soups and sauces was his toughest so far. It’s all part of the process, he said, to get where he wants to go in the restaurant business or perhaps as a cake decorator. Nearby, one of his instructors Shanda Winkowski-Thornton is near tears of pride as she listens to her student explain his technique for cooking the perfect ribeye. He’s a shining example of what the three-year-old 3D curriculum tries to develop in students with developmental disabilities, both in and outside of the kitchen. Shanda Winkowski-Thornton, center, works with students in the 3D program. The 20 students in the two-year program attend class five days a week and eventually transition into lab classes that add up to between 12 and 15 hours of coursework per week. Many spend far more time than that here, working at their craft. Culinary programs such as 3D are rare; Pulaski Tech’s curriculum isn’t just the only such thing in Arkansas, it’s one of only a handful of programs in the country. It’s fueled by partnerships within the local restaurant community which gives graduates career options once they complete their training. Even though the program has only been around long enough to graduate one class, success stories abound. “One of my former students went on to work at the Root Cafe (in Little Rock) and they love her. She does front of house, she restocks things. And everybody knows her by name. They expect Amy there,” Winkowski-Thornton said. 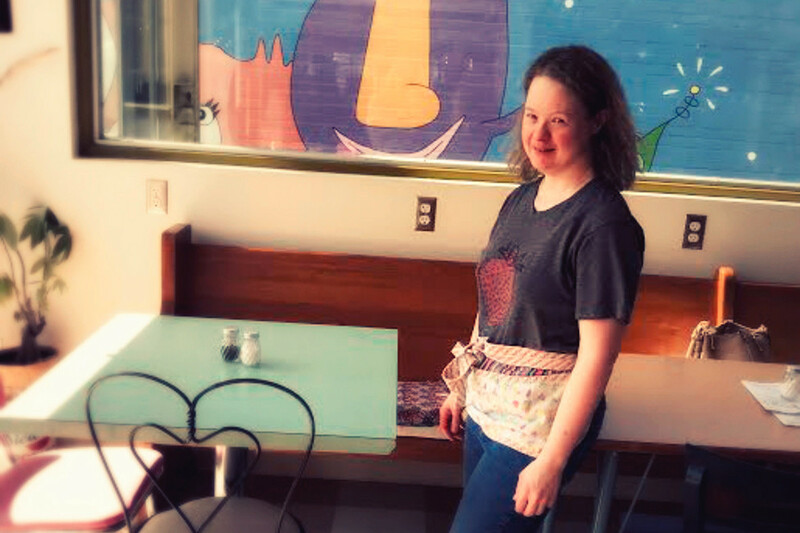 Amy, a graduate of UA-Pulaski Tech's 3D program, now works at the Root Cafe in Little Rock. With his polite demeanor and thoughtful disposition, it’s clear Cortlin will one day be a success story too. He’s already known in his class for being a fast visual learner with an iron-clad memory for processes after seeing them demonstrated once. His eyes show an impressive level of confidence as he speaks about what it takes to excel.